“I’m going to eat healthier” is something that we all tell ourselves at some point; it’s also something we probably fail at doing quite often. At least, that’s my ongoing problem. 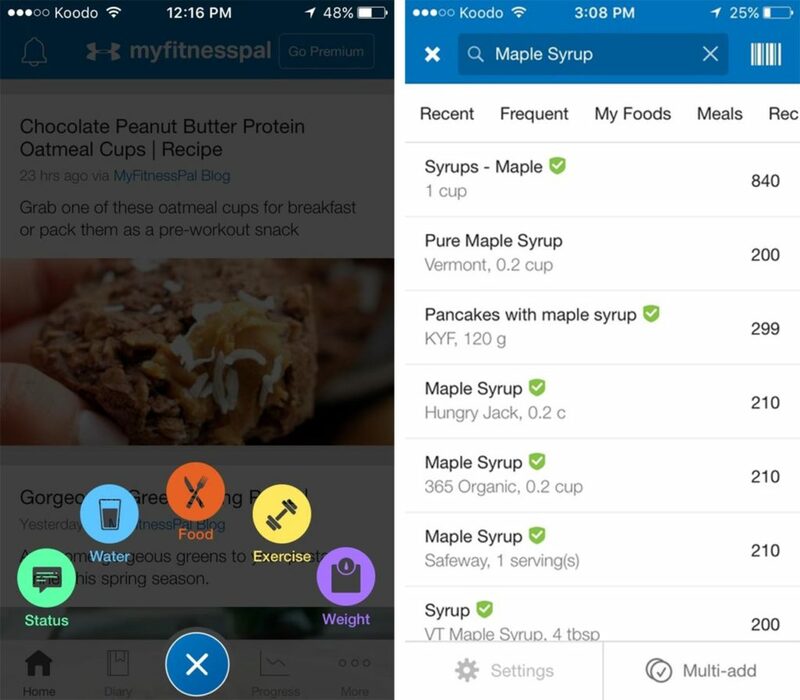 The MyFitness Pal app helps fix this by letting you keep track of the specific portion sizes and calories of the food that you’re eating. Over 5 million items are registered, which you can search for by name or with an in-app barcode scanner. If you log any exercise you’ve done throughout the day, the app will calculate your consumed calories versus your burned calories to give you an idea of your overall caloric intake. You can also freely type in any notes here as well. A full breakdown can be viewed in a pie chart, with the data available to be exported and sent to your e-mail for download. 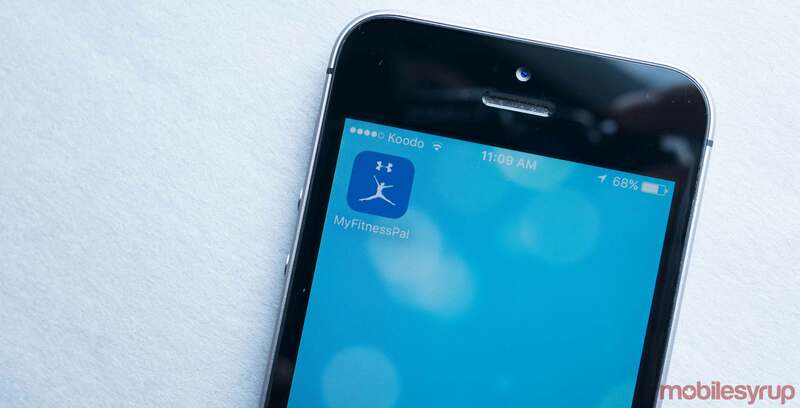 MyFitnessPal also has connectivity with other fitness apps, from Apple HealthKit and Fitbit to various step, cycle and other exercise tracking apps. This makes it easy to import stats you’ve been working on. There’s also a neat social media-esque aspect to MyFitnessPal. Blog posts show up in a ‘news feed’ format that give tips on anything from healthy recipes/superfoods to exercise gear. You can add updates on your ongoing health progress through posts and pictures to share with other users, as well as add other users to your friends list with their username or e-mail address, or through your phone contacts or Facebook. It’s a good way to stay motivated through the shared experiences of people going through similar journeys. 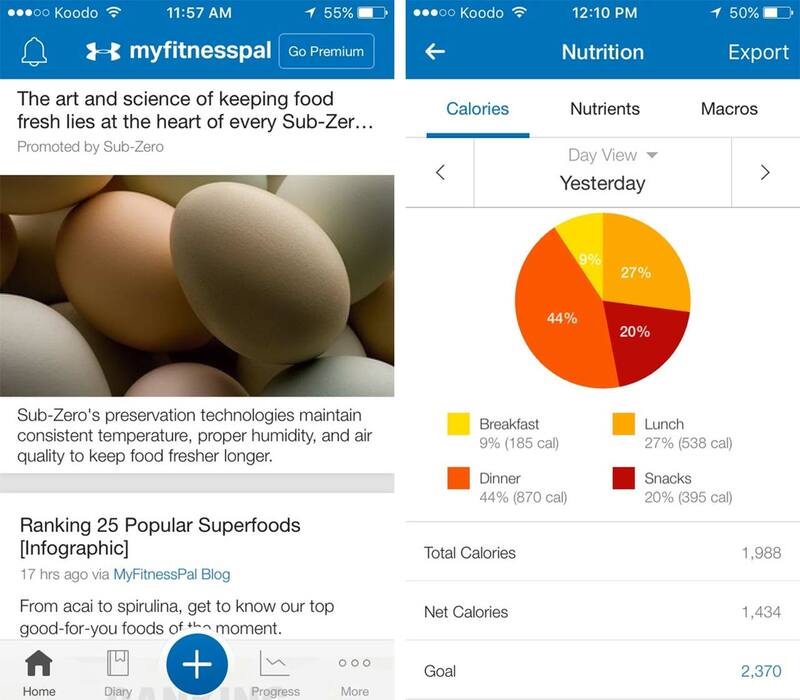 MyFitnessPal can be downloaded on iOS and Android.